PEVONIA BOTANICA IS AN ELITE NATURAL SKINCARE BRAND COMBINING NATURE’S GREATEST HEALERS AND THE LATEST SCIENTIFIC BREAKTHROUGHS. Pevonia’s full line of products were created to enhance every skin type. Each product, whether it is intended for specialized face care or therapeutic care,it is made from pure botanical extracts and non-comedogenic ingredients that won’t clog the skin’s delicate pores. Pevonia’s powerful elixirs promote inner improvement rather than surface changes. Extracts from the earth and sea are combined with aromatherapy essences utilizing cutting edge Swiss technology. With recyclable packaging and NO chemical fillers, artificial colours or fragrances, alcohol, mineral oil, lanolin PABA34 or animal testing, Pevonia Botanica products are as friendly to the earth as to the people who use them. 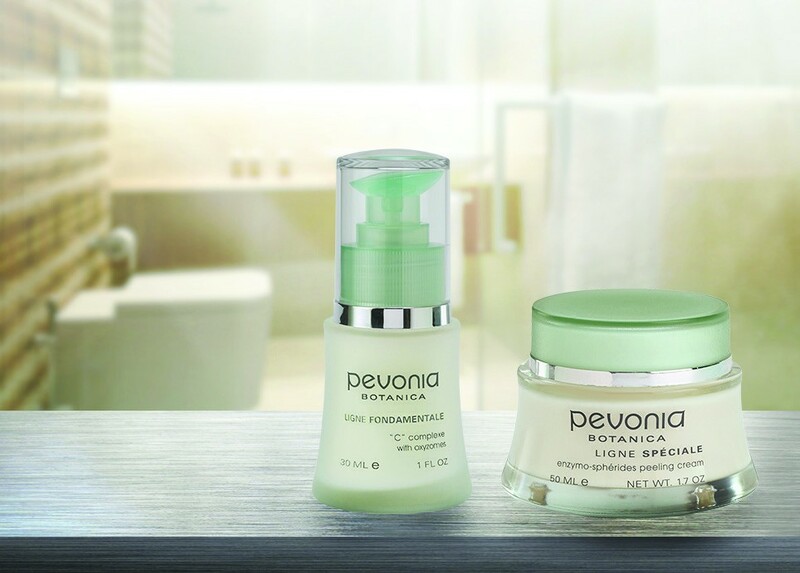 Pevonia Botanica – a standard of excellence in face care for spectacular visible results.